Water Filter, Hardness Test, Cleaning Tablets and Frother Cleaner included! 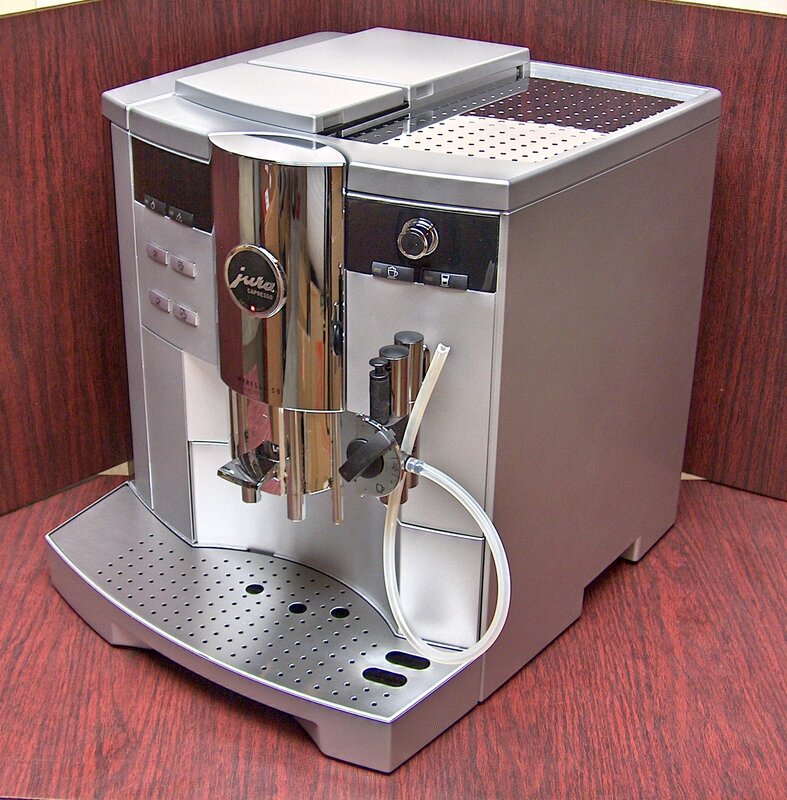 One-Touch Cappuccino System - Cappuccino or latte is prepared without moving the cup. 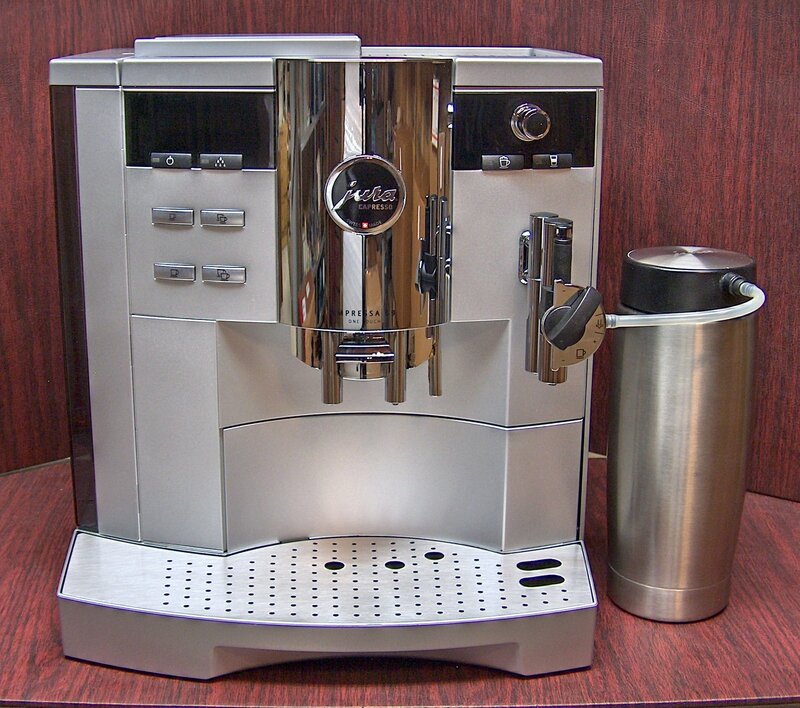 Dual nozzle system with two separate outlets for milk and coffee. Pause function between coffee & milk for layered drinks like Latte Macchiato. Dual boilers result in no down time between brewing and steaming. Programmable coffee amount from for each coffee size button - for any kind of coffee from mild to extra strong. Special Cup option lets you override coffee strength and volume without changing the pre-sets. FrothXPress Plus nozzle – injects frothed or steamed milk directly into drink. Steam/Froth - from 3 to 120 seconds. 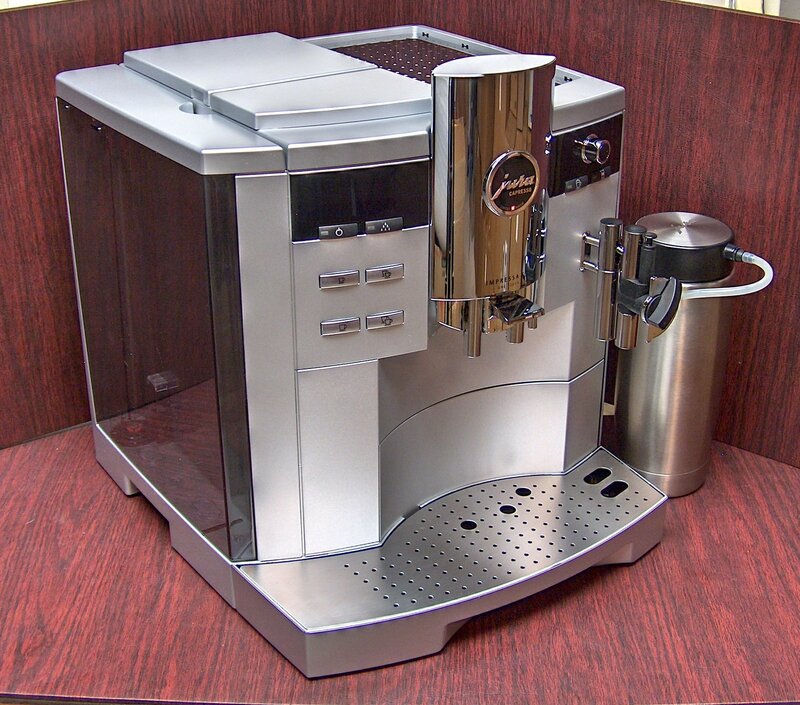 Drip Spouts can be adjusted from 2-3/4” to 6” for espresso cups to coffee mugs. 20 oz. Thermally insulated brushed stainless steel milk container. 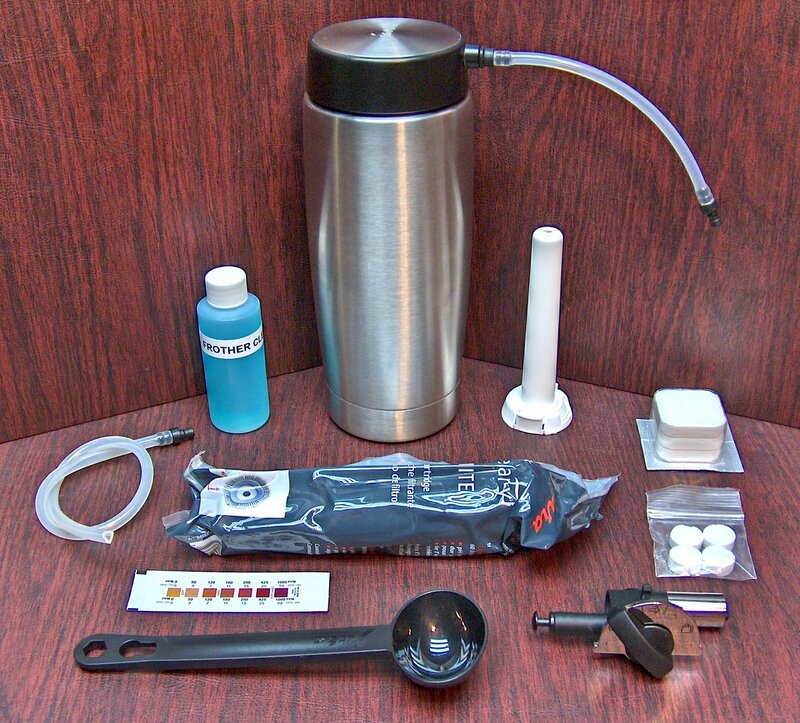 Auto Frother Kit (FrothXPress) with suction hose & fittings. Suction Hose for use with any container. Claris Water Filter with Extension Rod.